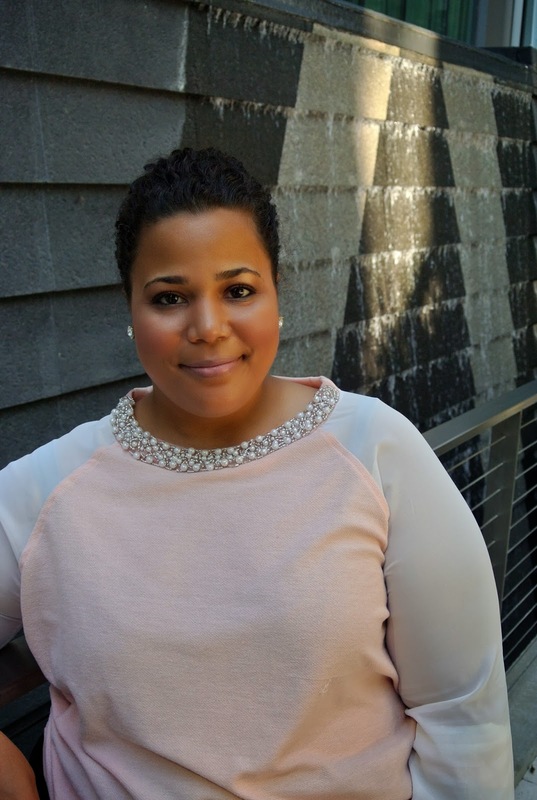 Last week I meet up with Lanae, Polished Plus blogger, for a meeting with her and parts of the Old Navy Plus team. It was really nice to see a team that is really passionate about the plus size portion of their business. That is such a rarity, especially when it's in addition to the regular sizes. So kudos to them. I decide to go a little more business-y for this meeting by just doing what I would consider to be traditional work wear look. So you may notice that I am turning up the knob on the giveaways. It's Libra season and since I've been so blessed, I want to bless others during my birthday season (I'm Oct 17th). I kicked it off with the $150 Wal-mart gift card giveaway (you can enter the post right below this one). But I also have a fun giveaway for this post. See my fancy bracelet (it's really a necklace). This was courtesy of Chloe & Isabel. Want to win a piece of your choice. Enter on the rafflecopter below. Also, make sure you check back so you don't miss out on any of the awesome giveawys...and please believe me some awesomeness is about to happen. Style Note: I'm in love with this Nordstrom top. It's so on trend with the sportswear trend, but definitely still work appropriate. The arms are chiffon on this top. If you have larger arms you may want to up one size. I got the 2x. I really would have liked a bigger fit, but the 3Xs were sold out. Please note that I did not cut my hair. It's just a french braid where the excess hair is pinned up. Oh! If you have a moment, I am finalist in the #denimdebunked contest with AllYou Magazine. Please take a moment to vote for me (no sign in needed) here. 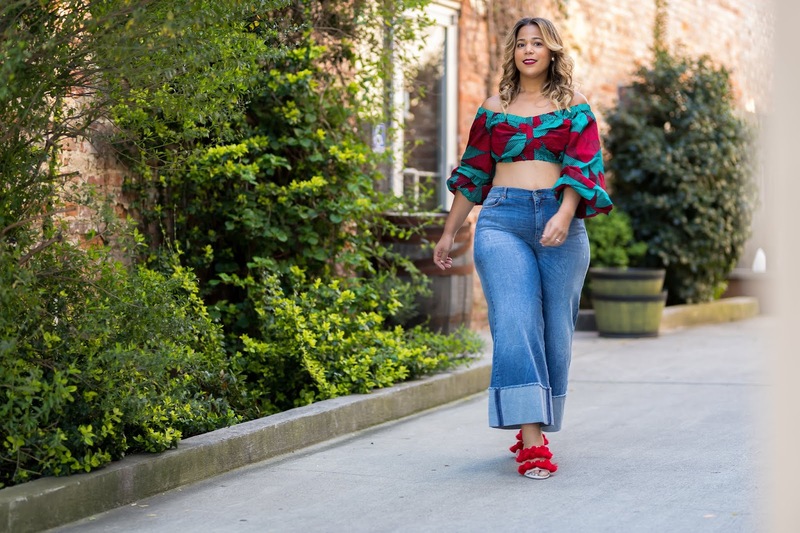 The winner receives a feature on the AllYou website and a $500 gift card to Catherines (of course, I'll give that away) which can be used at Lane Bryant as well. Loving the makeup...what colors are you wearing on your face? Thanks..I'm wearing: Foundation is Dior Airflash 400, Highlight - MAC super white, Blush - MAC her own devices, my eye shadows are a a palette my sister put together for me...they don't have the colors on them...sorry. Hands down you and your outfit should win the contest. Just voted you are absolutely gorgeous. 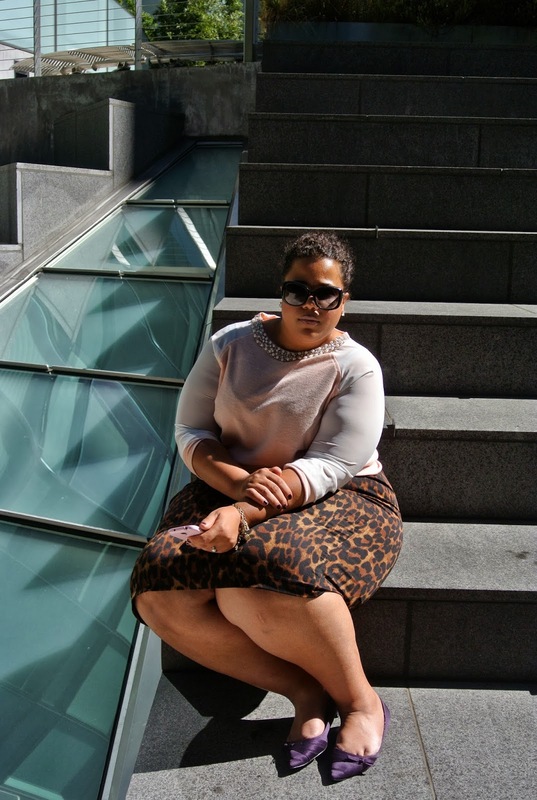 Skirt,shoes and blouse on this post love them. Good luck. I totally love this outfit! Thank you for the business attire inspiration. I really need it this week. Awesome make up. It looks so fresh and glowing. Also, I voted for you. Good luck!! Your make up and hair are gorgeous! Love the top too! I also thought your makeup was wonderful. The chiffon on the top makes this very different and the ring of embellishments on the top. Congrats on all your success Chas! Its a testament to your awesomeness!!! I love that sweatshirt and will be checking for some pieces to add to my fall wardrobe. I needs sweaters! A sweatshirt that's work appropriate! Love it! Great post as always and of course you have my vote. Looking forward to your workwear inspiration post. You surely have my vote! I just voted and based on the way the others matched up the denim you did an amazing job. I know you are going to win. Congrats ahead of time. I love that skirt! Your outfits are always amazing! 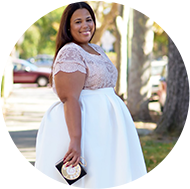 Thanx for showing us that curvy girls can be fashionable in affordable styles. Hope you win the contest. I put in my vote. $500.....$500...woo woo woo!! lol I'm entered! You look fantastic. I love your makeup in this post too! So happy I found your page you are amazing love your clothes shoes and makeup too curvey women we ROCK!!!! 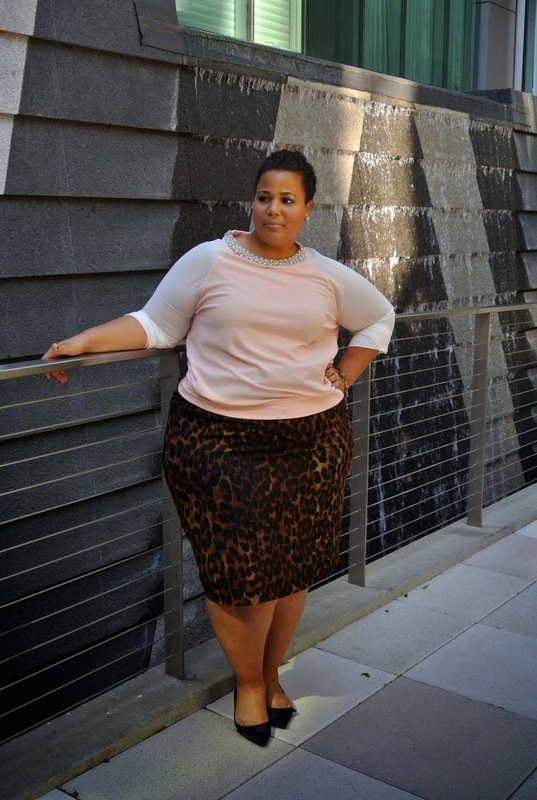 Love the details in your top and how you paired it with the animal print skirt! So Cute and your makeup is perfect!! !